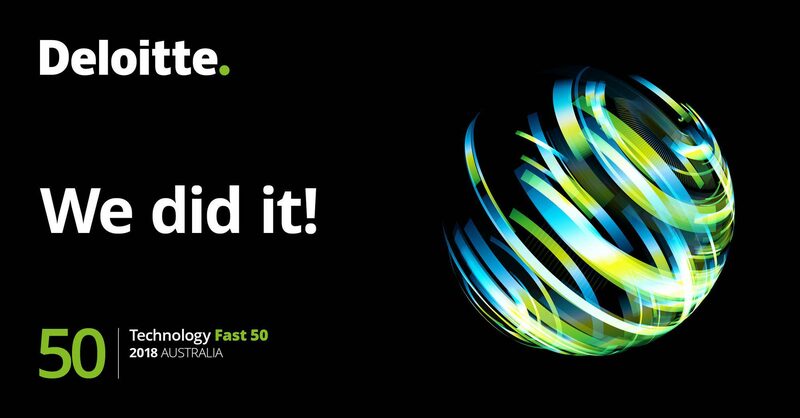 ClickSend wins a place in the 2018 Deloitte Technology Fast 50 Australia Awards 15 November 2018 The 2018 Deloitte Technology Fast 50 Australia Awards rank Australia’s fastest growing public or private technology companies, based on their percentage revenue growth over the last three years (2016-18). To qualify, each company must have minimum cumulative revenues of $8m over the period. Supported by the ASX and DLA Piper Australia, the awards are in their eighteenth year and provide international recognition for Australian innovation, with the winners gaining automatic entry into the Deloitte Asia Pacific Technology Fast 500 program. “More than ever, this year showcases world leading Australian business innovation and it is a tremendous achievement for any company to be named among the Deloitte Technology Fast 50,” Technology Fast 50 Lead Partner, Josh Tanchel said today. For a full list of winners and further information on the Deloitte Technology Fast 50 Australia program, go to www.tech50.com.au and use #TechFast50au on social media. For media related questions about the awards please contact John Brady at johbrady@deloitte.com.au.